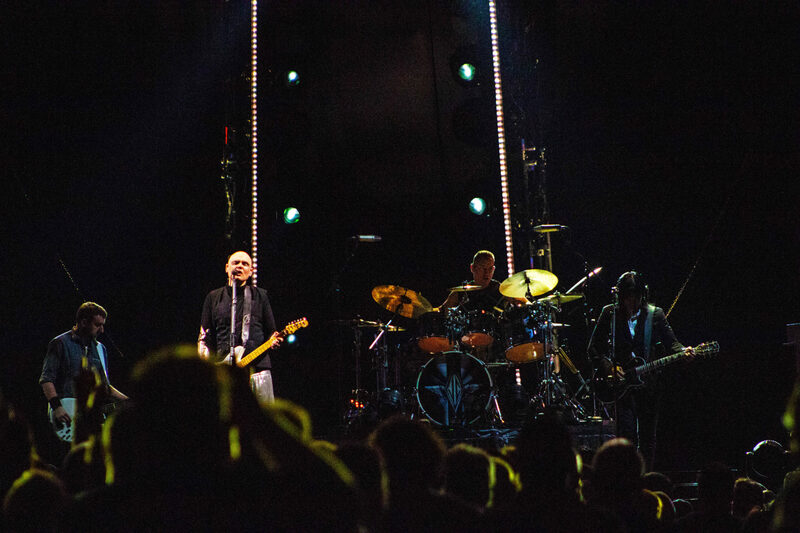 Last week, (almost all of) the original line up of the legendary 1990’s American rock band, The Smashing Pumpkins, took the stage in Duluth at the Infinite Energy Arena. While the majority of the crowd was in their 40s and 50s, reliving their late teens and early 20s, there were still the few of us there enjoying the very music our parents had played through the car radio so many years before. 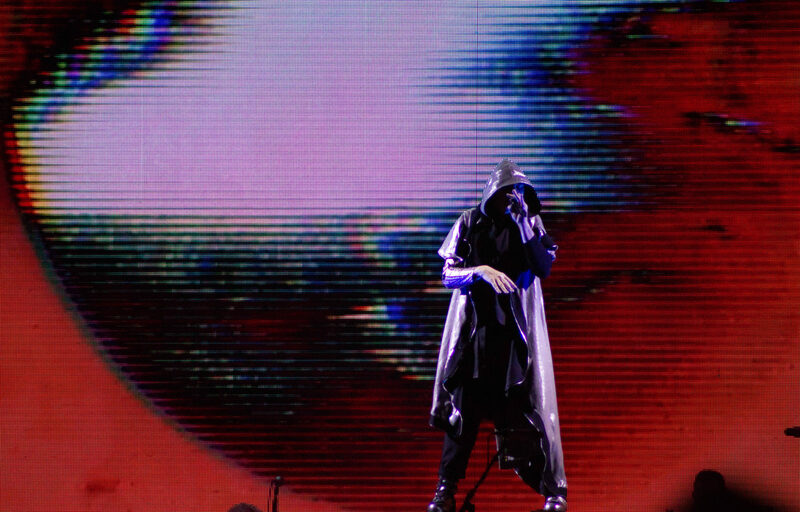 The performance was electrifying. The only hiccup was on the last song that they performed, “Help I’m Alive,” the backup singer’s microphone sounded a bit off, but to those who don’t listen to music critically, it was unnoticeable. The Infinite Energy Arena holds upwards of about 13,000 attendees. During Metric’s 30 minute set, less than half of the arena was full. The majority of the fans found their seats during the 20 minute intermission when the stage was being prepared for The Smashing Pumpkins. Even toward the end of the concert, only about two-thirds of the arena was full. It’s shocking that the band would draw such a mediocre-sized crowd given the diverse music scene in Atlanta, the number of chart toppers the band has produced and all the history the band has in Atlanta. When The Smashing Pumpkins were set to take the stage, it had been transformed into an almost Art Deco feel—think of the film “Metropolis.” In the center of the stage were two panels that met perfectly in the middle. First, the whole stadium went pitch black.Then music started to play. This is where the entire theme of the show is set. 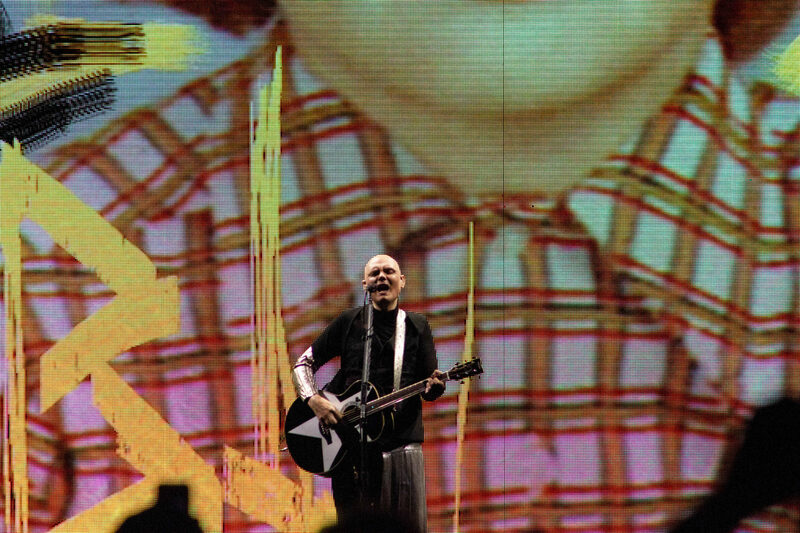 Displayed on the two panels were moving graphics of different elements from their albums or music videos, such as the ice cream truck from their “Tonight, Tonight” music video, the star woman from the “Mellon Collie and the Infinite Sadness” album and the two girls on the front of “Siamese Dream,” The Smashing Pumpkins’ sophomore album. The crowd was noticeably louder for the “Siamese Dream” art. The band makes the most of their nostalgic tour not only playing their songs but paying tribute to other artists. They performed their cover of “Landslide” by Fleetwood Mac, which was originally recorded as the B side to their single “Disarm,” prompting the entire crowd to sing along. Notably, the tribute to David Bowie with his song “Space Oddity” would’ve made Bowie himself smile. 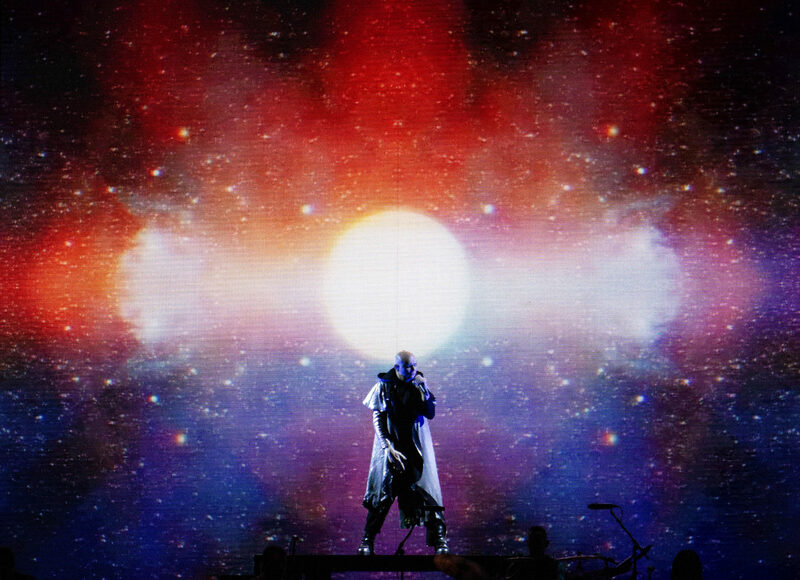 Corgan donned a metallic cape while theatrically climbing stairs and psychedelic images of space and earth swirled on the screen behind. “Zero,” “Tonight, Tonight” and “Bullet With Butterfly Wings” followed. “Stand Inside Your Love” was undeniably the one song where you could see the nostalgia in fan’s faces. You could see them reliving their first loves during this song, holding and hugging their significant others, swaying and reminiscing. The concert finished with the band’s 2018 debut “Solara.” The song was released on June 8 with the official music video premiering on June 28. The song was originally written in 2014 for the “Monuments to an Elegy” album. The song sounds like it was written for fun rather than for music technicality. There were no insane guitar riffs in this, but it wasn’t nearly as dreamy as “1971” or “Today, Today.” Nevertheless, the song was a great way to end the show. 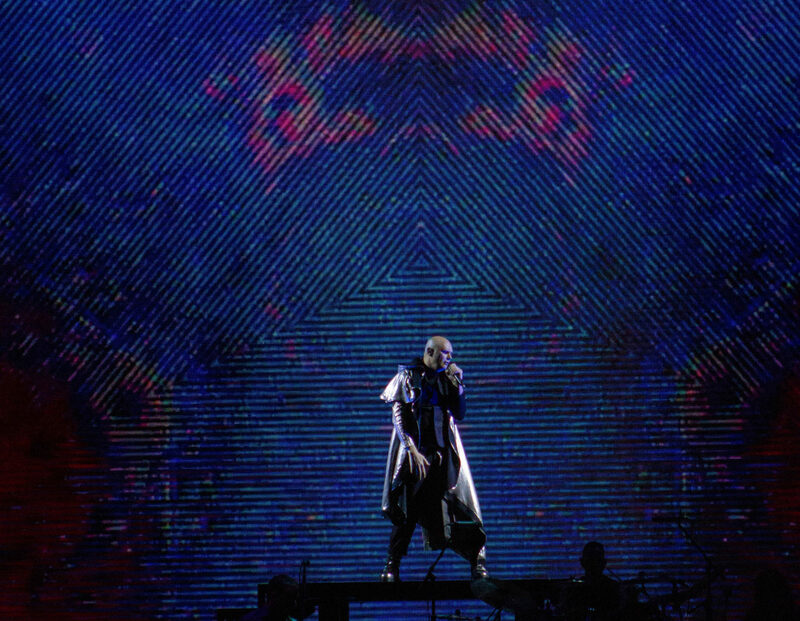 The concert was transcendent. It’s an odd feeling seeing a band in person that you feel like you’ve known since your earliest memories—memories that helped through awkward teenage years. But it must be said that the concert was just shy of being perfect. There was a noticeable absence in the band line up that was hard to ignore. The original bassist for the group, D’arcy Wretzky, was missing. Aside from that, the concert was everything you could hope for in a nostalgia tour. The “Shiny and Oh So Bright” tour continues on in the U.S. for 27 more stops until September 5 in Denver before continuing on internationally.